Credential Creep in the GIS Field: For Good or Ill? American Society for Photogrammetry and Remote Sensing (ASPRS) launched its Certified Mapping Scientist program in 1988. This was followed by the launch of the GISP program by the GIS Certification Institute in 2004. Now a third professional certification for GIS analysts is in the works from the US Geospatial Intelligence Foundation. On top of all this, in 2010, the Esri Technical Certification program was launched. What’s driving all these credentialing schemes? Who wants these credentials and why? The trend is evident in the number of academic degrees awarded per capita in the United States, which has increased at a much higher rate than population growth since the 1980s. One commentator has proclaimed that master’s degrees are the new bachelor’s degree. Similar trends are evident elsewhere in the developed and developing worlds, to varying extents. Furthermore, a recent study by Burning Glass Technologies demonstrates that many occupations that didn’t require bachelor’s degrees in the past—such as surveyor or mapping technician—now often do require such degrees. The reason, analysts suggest, is that employers use credentials to prescreen applicants and streamline the hiring process. The proliferation of academic, professional, and technical credentials in the GIS field implies that many employers as well as job seekers value credentials. However, the trend raises a concern about whether credentialing programs are converging toward the worthy goal of fostering competence and strengthening the GIS profession or diverging toward a jumble of meaningless but costly tokens. Two educational innovations are encouraging. One is the creation of a free market for credentialing through “microcredentials” like badges. You know about badges if you were a Boy or Girl Scout who earned merit badges to demonstrate personal advancement. With support from the MacArthur Foundation, Mozilla has developed an Open Badges framework, which enables any organization to confer digital badges and individuals to display badges via “digital backpacks” linked to social media. Earlier this year, Elmhurst College awarded badges to students who completed its massive open online course (MOOC) Skills for the Digital Earth. Esri believes that badges and other microcredentials have the potential to enrich education and training by providing finer-grained evidence of accomplishment that advances the positive trend toward volunteered geographic education. A second innovation is the emergence of competency-based credentialing, which represents the legitimization of experience as a valid mode of learning. In the United States, Western Governors University was perhaps the first public higher education institution founded on a commitment to award credentials based on demonstrated achievement, rather than on “seat-time” in classrooms. Precedents for the competency-based approach abound, including the tutorial system at the Universities of Oxford and Cambridge. However, the establishment of an entire institution predicated on the notion that adult learners should receive credit for what they know, regardless of how they learned it, was a watershed event. More recently, the University of Wisconsin became the first major US university system to embrace competency-based learning with its flexible option program. A flexible option master’s degree in geodesign that is currently in the planning stage at the University of Wisconsin—Stevens Point could become the first competency-based academic program directly related to GIS. 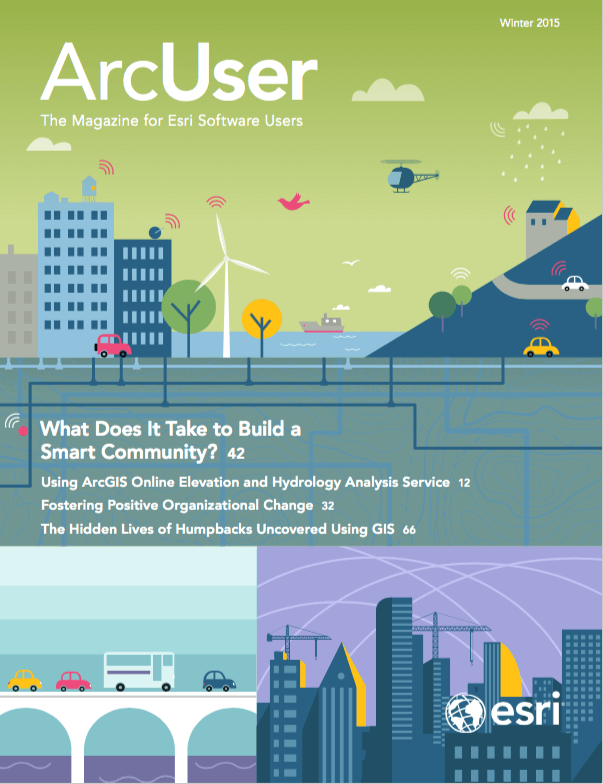 Esri believes that even more innovative academic programs in GIS will adopt competency-based credentialing in the coming years. Credential creep is happening in the GIS field. Labor market analysts warn that the phenomenon may worsen the runaway costs of higher education and cut off career opportunities for those who can’t afford advanced training. However, a new generation of credentials that recognize experience and competence rather than seat-time herald better times ahead for adult education and workforce development.